Very bright ruby red. It expresses notes of blackcurrants and intense, citrus scents of bergamot. Balsamic notes of mint, liquorice and cardamom, with floral notes of violet. In the mouth it offers the classic structure of Sangiovese from Montalcino, tight but not without harshness. Intense and persistent finish. Served with all courses of a meal, it pairs well with egg pasta, like pappardelle with hare or wild boar ragout, and with red meats, from steak to slow-cooked beef. 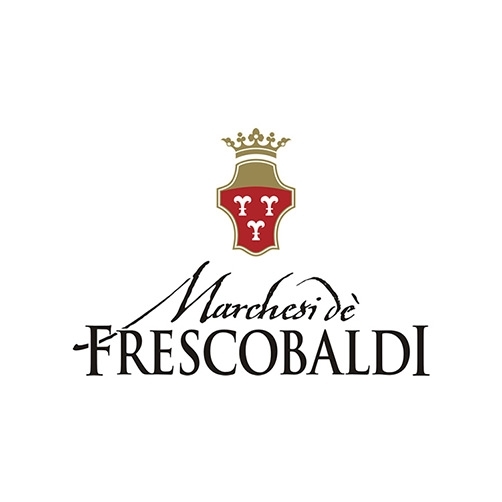 The village of Castelgiocondo dominates the historical estate of Frescobaldi in Moltalcino, an ancient fortress built in 1100, in defence of the road from the sea to Siena. A historical place, it is one of the first four properties where Brunello di Montalcino began to be made in the 1800s. The Estate is in an ideal terroir for Sangiovese and for the great wines that are made here: the vineyards are planted at altitudes of between 30 and 400 metres above sea level, and the soils, which drain beautifully, enjoy favourable south-westerly exposure to the sun. Maniacal attention to work in the vineyards, high densities and low yields make it possible to produce a great Brunello, with an elegance and admirable longevity. 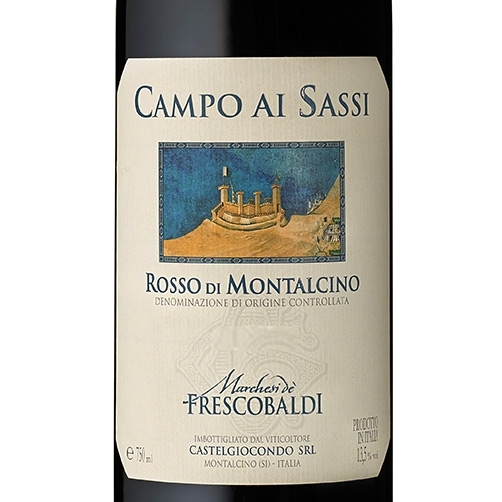 Campo ai Sassi is a Rosso di Montalcino which presents the same characteristics as its elder brother, but in a younger less formal version. 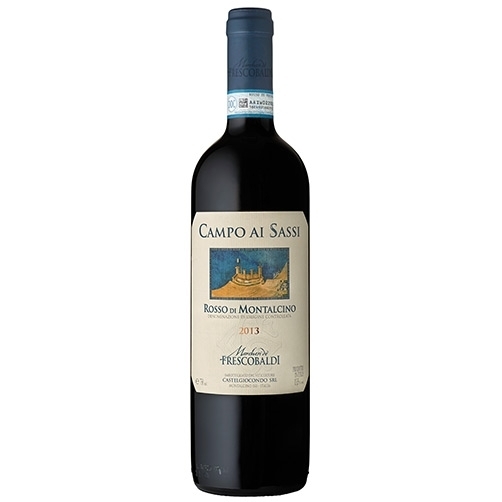 It is made with the same grape variety, Sangiovese, grown in vineyards located in much deeper soild, which produce elegant and aromatic wines which are less tannic than Brunello.